Click on the small images to see the detail. Each file about 18k. 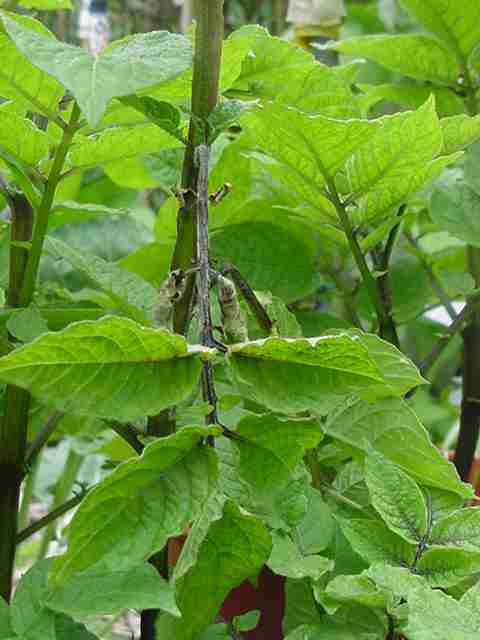 Early stages - stem blighted; removing affected leaves and soaking the plant (and nearby plants) with Bordeaux mixture will give it a chance of recovering. Early damage on leaf. Treatment as above. By this stage, damage is becoming severe. When the weather is damp and warm, plants can be affected very rapidly indeed. 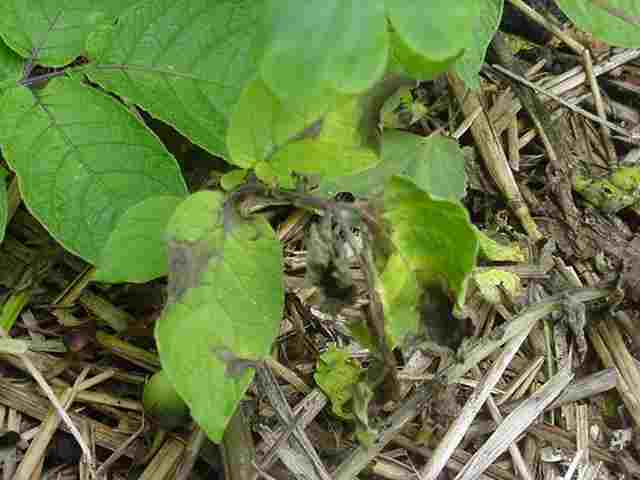 Spray earlier rather than later; you cannot prevent blight spores getting onto your patch, but on a small plot, you can minimise the damage by pre-spraying. If it rains you'll need to spray again unless you're using a systemic. 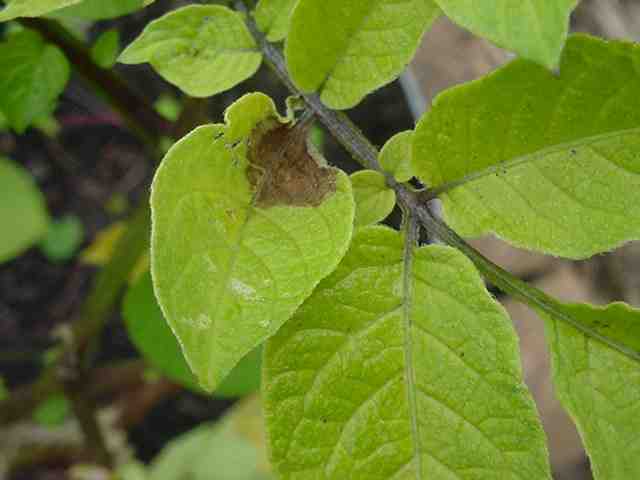 As for recognising potato blight in tubers, all you need is a sense of smell.